There are a huge variety of vacation homes in Puerto Viejo from basic apartments and houses to truly luxurious fully outfitted homes with all the amenitities. Beautiful and updated beachfront house and two separate studio apartments for vacation rental. 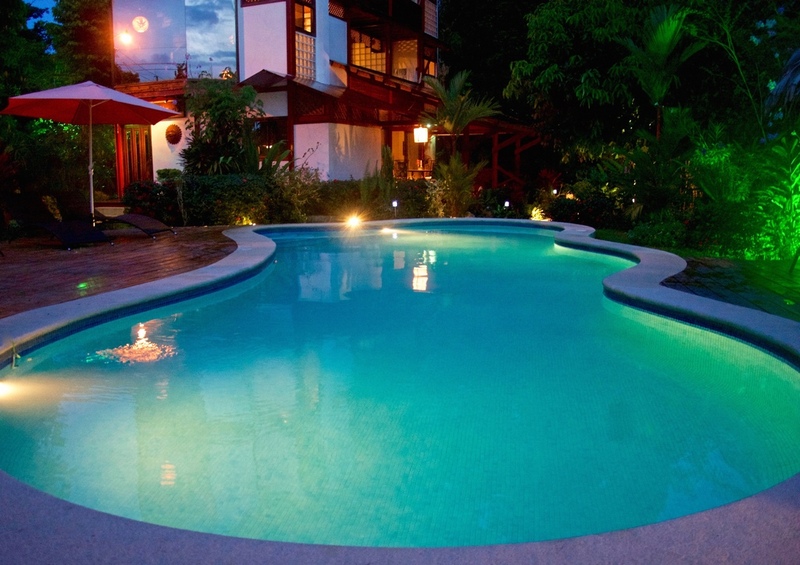 Equipped with all the amenities: private swimming pool, kitchen, A/C, phone, internet, cable TV, security system. The apartments are each suitable for 1 to 3 persons, the house for up to 6 or rent both for up to 10 people. The beach is just a few steps through the backyard filled with coconut palm trees and flowering bushes. The house sits in the middle of a large bay with spectacular views in both directions. Luxurious and stylish vacation home with African-inspired design. Three bedrooms each with ensuite bathroom, private pool, kitchen, washer dryer, bicycles, safe. Caretaker living on site. Spacious house provides you with two nicely appointed bedrooms, each with a private bath. The kitchen is fully stocked with all the dishes, utensils, and cookware that you need to prepare anything from a simple breakfast to a gourmet dinner. The living room is large and comfortable with flat screen TV, DVD, satellite, and stereo. Free local telephone service and high speed wifi are included. $100 per night with generous discounts on weekly and monthly rentals. Located close to town and just 250m to the beach in a natural setting but at the same time safe due to the presence of other residences nearby. You do not need a car to get around. A bicycle will do! The house is a recent concrete construction with wooden details. Big windows allow you to open up the space towards the lush vegetation of the surroundings. The downstairs has a big living room, an open kitchen, two bedrooms and one bathroom. A wide staircase leads you to the second floor where you'll find a third sleeping area and the second bathroom with shower. Property with 4 studio apartments, pool, and 2 units with AC. Luxurious and modern villa, just a 3 minute walk to the beach. Located in a tranquil area of Playa Negra. Features: 3 bedrooms (with king size beds), 2 full bathrooms, living room, kitchen (fully equipped with all the utensils you might need), large terrace with dining area, garden hammocks and sun chairs, parking for 5 cars. Property is 100% fenced and secure. Cable TV, wifi throughout the property. A/C in the master bedroom and living area. Full equipped apartments, 2 bedrooms, kitchen and livingroom. 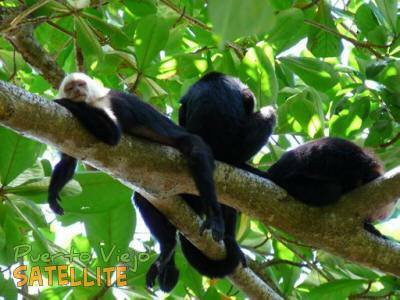 Just 100mt from the beach and 5 minutes to Puerto Viejo, quiet place surrounded by nature. Agency representing a large selection of vacation rentals in the Caribbean. Short and long term, fully furnished and equipped vacation houses. All of the properties have been verified and most have up to date reservation calendars. Knowledgeable staff that is there to help you with finding a great rental and also are experts in organizing your travel and transportation plans, tours and activities. 4 New and luxury houses to rent in a private condo. With all equipment and facilities. Free private parking, wifi, SKY, and all the services. Four apartments with air conditioning located 7 minutes from Puerto Viejo, 2 minutes from the Playa Negra beach. The building features A/C, fans, WiFi, floor to ceiling windows, bathroom with hot water shower & kitchenettes in some units. This property is located in a busy area so guests might experience some noise. Bicycles are available at the property for an extra cost. Free private parking is available on site. House rentals with kitchen, living room, TV. Private parking. ﻿﻿1 bedroom house in its own world in the jungle. Large covered deck for dinning and entertaining and a very private natural stone pool. Fully equipped kitchen. The bedroom is in the center of the house in a open concept, with a very comfortable mattress and a mosquito net. Four vacation rental cottages, each with 1 or 2 bedrooms, with fully-equipped kitchen. Surrounded by tropical gardens, 2 pools. Wireless Internet, private parking and laundry service. 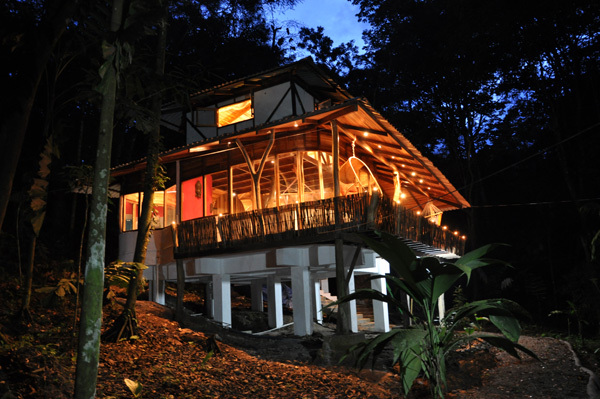 Two vacation homes in the rainforest a few minutes walk from beach and services. On-site concierge will assist with info, activities, booking transport, bike rentals and laundry service. Casa Grande has 2 bedrooms/1 bath with kitchen, large outdoor area with two hammocks and dining table, living room and bathroom with hot shower. Casa Mango has 1 bedroom/1 bath with kitchen and outdoor living area with two hammocks. Both homes face tropical gardens and offer wifi, safes, good quality bedding/towels, window screens and mosquito nets. 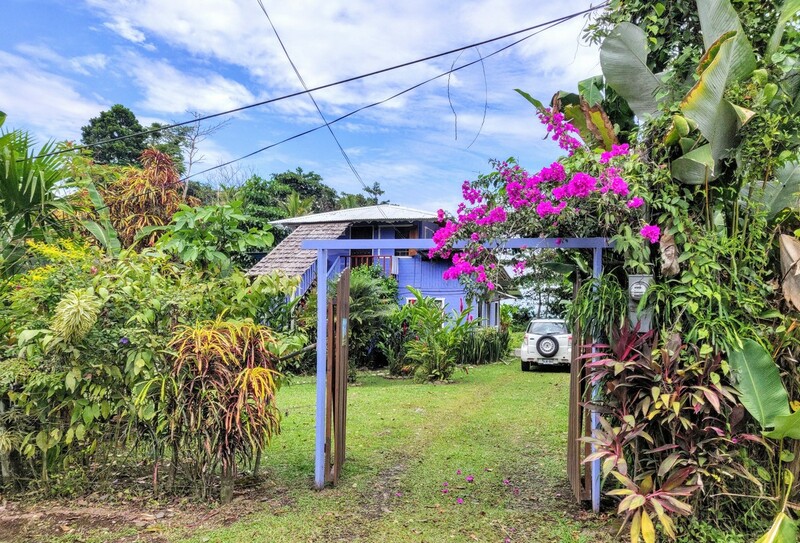 A selection of properties in Puerto Viejo on Costa Rica's Caribbean Coast for the perfect beach getaway. Whether you're looking for a large house for a group, a comfortable apartment for a family or couple or a bed and breakfast property, we can help you find what you need. Our properties are located at Playa Negra in Puerto Viejo, a quiet black sand beach away from the bustle of town. The beach and the jungle are just a few steps away. Located on a large property with another small house and a restaurant. The house has everything you need to enjoy your stay: kitchen with all necessary utensils, large terrace, dining room and living room. It has 1 bedroom and a bathroom. At the house lives Lucy, a beautiful kitten who is part of the house so this house is only for people who like cats. House for 2 people. 4 Beds 4 Bath House. Rent the lower floor or upper floor or the whole house. Beachfront, less than 50 meters from the ocean and surrounded by nature. Two floor condominium less than 100 meters from the Caribbean Sea. Each condo is fully-furnished and includes: 2 bedrooms (each with a private bathroom with hot water), air conditioning in the master bedroom, one powder room, a kitchen with cooking/serving utensils, a living room, and free WiFi internet access, pet friendly. 5 occupants max. This fully furnished 100 m2 ground floor apartment sleeps two. The bedroom can be arranged with a pair of single beds or a king. Furnishings crafted of reclaimed lumber include a drybox closet, nightstands, and overhead fans. Security screens afford plentiful airflow or may be shuttered to assure absolute privacy. A complete kitchen includes range, oven, refrigerator, blender, coffee maker, cookware and table settings. "Pineapple houses" are 6 private villas in a garden setting with beach access. There is a common rancho area with swimming pool, breakfast area and a large roof top deck for sunning and star gazing. Each villa has A/C, hot water, kitchenette, private large balcony, 2 queen beds, safe, wifi. Breakfast included. This guest house is a unique adobe style dome home situated in the lush rainforest of Costa Rica just a 3 minute walk from the Caribbean ocean. Includes amenities such as fully furnished kitchen, a spa style shower, beautiful jungle views, a plunge pool, and an observation/relaxation platform with adirondack chairs and hammock. Three equipped, authentic Caribbean cottages for personal retreat time; daily (4 days minimum), weekly and monthly rates. Two studio apartments and 1 2-bedroom-apartment, all with satellite TV, fan, kitchenette, bathroom and free on-site parking. Just 2 minutes walking to the lush, unpopulated beach. 2 bedroom, 2 1/2 bath home a short walk from Playa Negra. A new house in a peaceful rainforest setting. Set amidst huge trees in a lovely garden, the casita has a queen size bed with a pillow top mattress. Amenities include a kitchenette with a large toaster/oven, coffee maker and refrigerator, high speed wifi internet and a large porch with comfortable chairs. A small safe can be used to store your valuable items such as passports, cell phones, credit cards, tablets and small laptops. Also included is a 32" TV hooked up to Netflix and an assortment of movies. Simple Tico style holiday homes for up to 6 people. Kitchen, private bath, garden setting. Two custom-built hardwood cottage and one larger villa, each with vaulted cathedral ceilings, ceiling fans and a spectacular view of the ocean. Each overlooks lush tropical gardens, designed by an award-winning landscape designer and just 50 meters from the surf, at the quiet Playa Negra beach. Each cottage has a king bed and full bathroom. The larger home with 3 bedrooms and 2 bathrooms. All are equipped with fully-equipped kitchen, Wi-Fi and private parking. House for Rent in Playa Negra. 2 bedrooms (1 double bed and 1 single bed), kitchen, coffeemaker, refrigerator, fan, mosquito net, washing machine, phone, Internet. The house is safe and quiet. Surrounded with 1000m2 garden with different flowers, where you can watch birds, butterflies,sloths and many other animals. 200 meters distance from the beach, 10 min walking distance from the center of Puerto Viejo. ﻿﻿Modern spacious house in Playa Chiquita. 2 spacious bedrooms with private bathroom, full equipped open kitchen in a luminous living, sofa bed in living area. A/C in both bedrooms. House for 6 people. I recently spent a couple of weeks in Puerto Viejo and rented a room from a wonderful family that runs the Tienda Marcos. It looks like the dentist office from the outside, but is really a nice room. It is on the calle 215, across from luna llena restaurant. Ask at Tienda Marcos for info. Their main worker speaks great English. Check it out for a more family oriented stay. Hello, I am hoping someone can help me find information on a house that I noticed the last time I was in PV. It is located across from the police station on the way to Pan Pay bakery. (great bakery by the way). The house looked quite abandoned at the time(sept 2011). It is a multi level home Please see the attached pic. Any info would be appreciated.